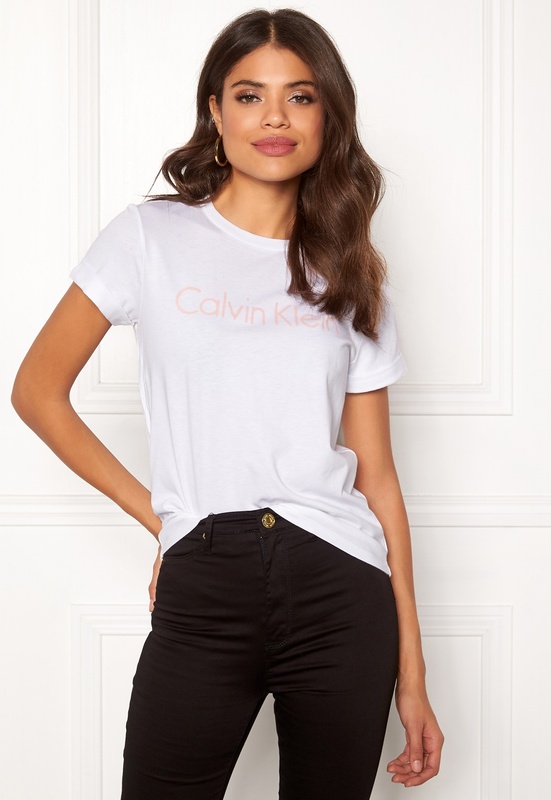 Lovely T-shirt from CALVIN KLEIN. The T-shirt has a lovely cotton quality and features the brand logo on the front. - Soft, stretch quality - Round neckline - Logo on front - Rolled sleeves Back length from shoulder 62 cm, bust 84 cm in size S. Machine wash at 30 degrees (delicates).